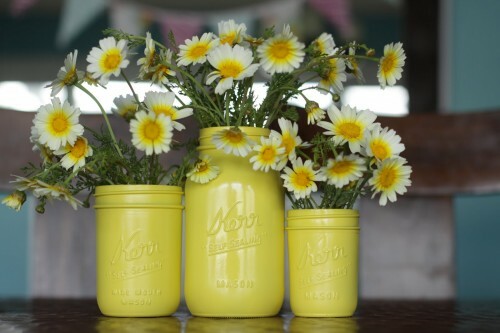 Summer and mason jars go hand and hand, and with their causal feel and limitless uses they are perfect for many occasions, events or backyard gatherings. 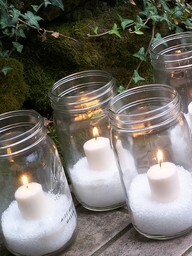 This are filled with Epsom salt and a simple votive. 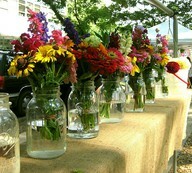 These antique jars and carry are picture perfect, fill with any of your favorite flowers. I love mine filled with sunflowers. 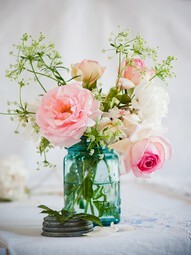 I love, love, love this blue jar. 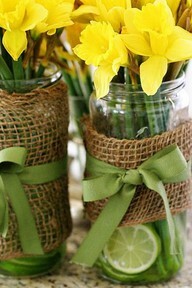 I have done this same look, wrapping the jar is quick and easy and adds another element of casual elegance. 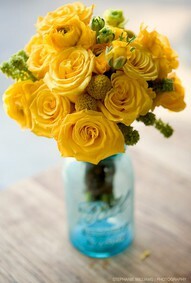 Again a blue jar and the yellow flowers look PERFECT! 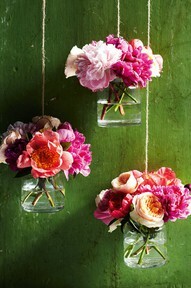 Add some wire and hang, and another way to add a great touch to your summer event. This is my FAVORITE look, it's easy and spectacular looking. Only one problem, storing all those jars! I love the variation of colors in the flowers, anything with pink and I'm a sucker. 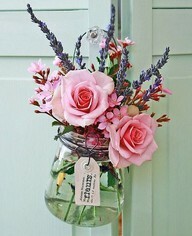 Painting the inside of the mason jar is another easy way to change up your jars. 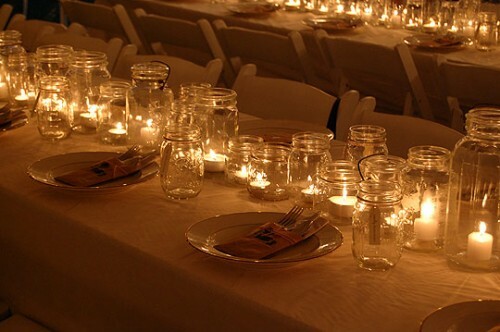 Use a non-flammable paint and when you are not filling with flowers you can add a candle and get a pretty glow, especially when you paint the jars white. 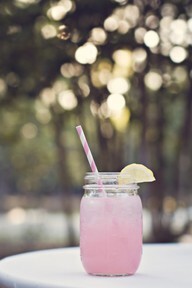 Right at the top of the list of "how to use a mason jar" it reads - for a drink. The straws are precious and available at www.etsy.com (search paper straws), they come in tons of colors. 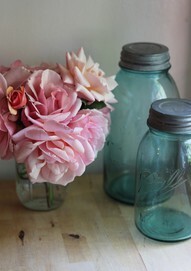 I had to end on my favorite blue jars, hopeful this has sparked a create energy in you and what can be done with a mason jar. Have fun and be creative. I'm working on an entire blog on Cupcakes in a mason jar. They will, with out a doubt impress your guest. Be on the look out for it.